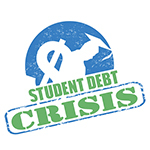 StudentDebtCrisis.org is a non-profit organization dedicated to fundamental reforms to the way in which higher education is paid for in America. Central to our mission is a belief that a well-educated citizenry is essential to our prosperity as a nation in the new, 21st Century economy. Quality education is the key to our ability to compete and succeed on a global scale and, to the extent we burden our workforce with enormous debts to obtain the knowledge and skills they need to excel, we limit not only our future economic choices, but our freedom in general. The future economic success of our nation is wholly dependent upon a workforce with the critical thinking skills necessary for innovation, entrepreneurship and prosperity. SDC’s core belief is that, in order to unleash the full potential of those skills, we can no longer burden students with the ever-increasing costs of an education that benefits society in general, not just the students receiving them. What Would You Do If All Your Student Loans Were Forgiven?